This beautiful semi-detached holiday home is located in a small village Kornić on the island of Krk. 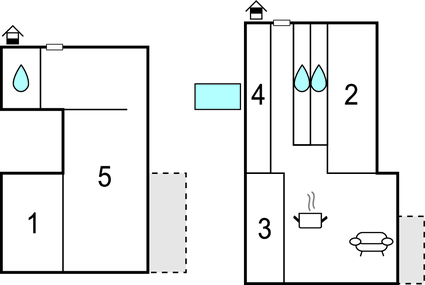 It consists of a ground floor with two bedrooms and a kitchen and the first floor. This beautiful semi-detached holiday home is located in a small village Kornić on the island of Krk. It consists of a ground floor with two bedrooms and a kitchen and the first floor, which has three more bedrooms and a living room with a kitchen. Each floor has a separate entrance. In front of the house is a swimming pool that you will be happy to use for refreshment, and there is also a grill for the preparation of your favorite specialties. Volleyball equippment for the pool is at your disposal. The owner uses the second part of the house and the separate entrance, so the whole yard is at your disposal only. For an active vacation there is wakeboarding, hiking and cycling trails available. Enjoy the beaches, visit the islet of Košljun and explore the rich gastronomic offer of the area. This beautiful modern villa is made from brick or stone and was recently built in 2018. The agent has rated it as a four star property so it is a well-equipped villa with above average furnishings. It is also great value for money. 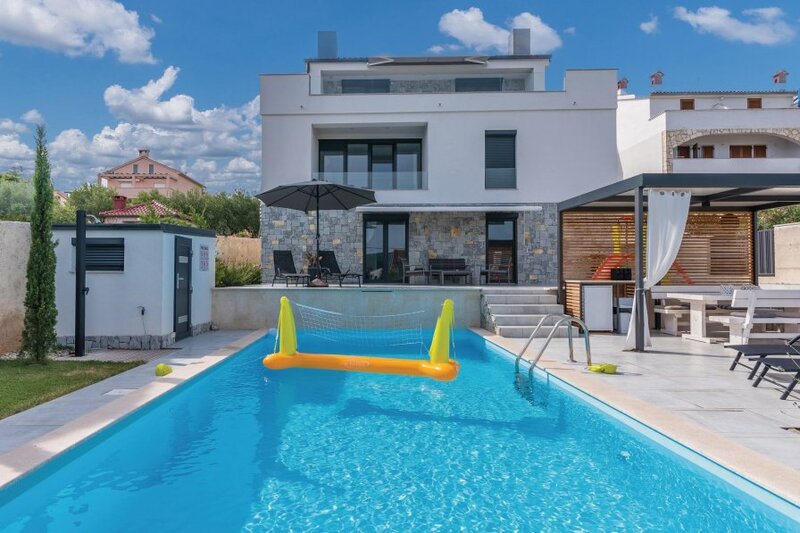 This villa has a swimming pool and sea view; it is also located in Kornić, only 2km from Punat. The nearest airport is only 30km away. It is set in a very convenient location, just 500 metres away from a stone and pebble beach. There's also a restaurant only 400 metres away.